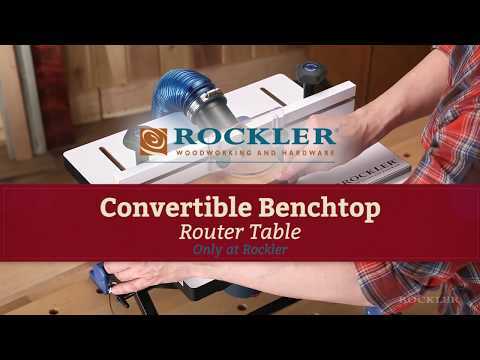 Compatible with the Mid-Size Router Insert Plate Kit for Convertible Benchtop Router Table (#55512, sold separately). 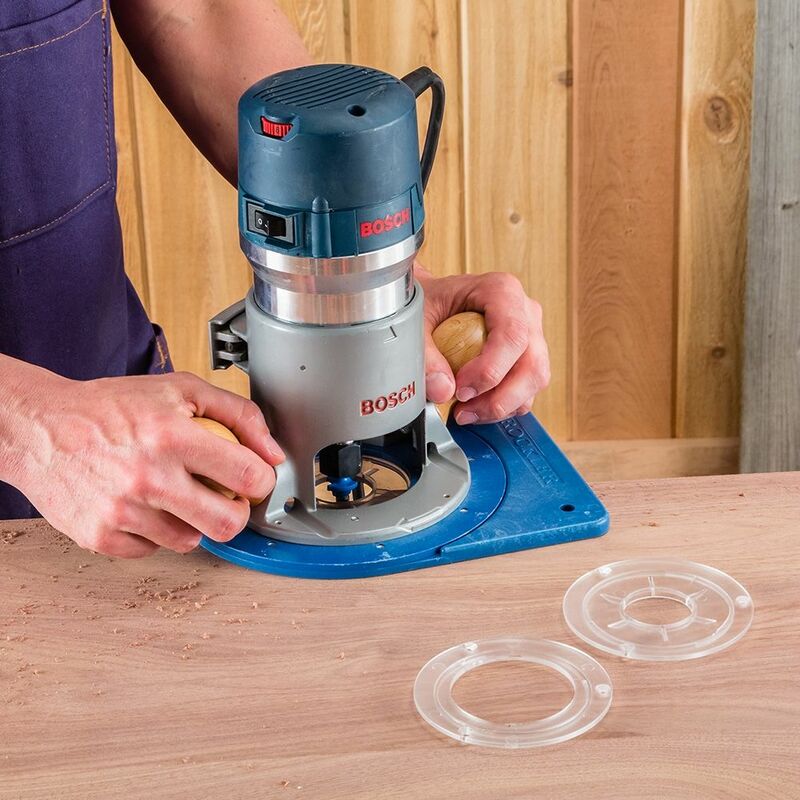 Insert rings that closely encircle your router bit help to control dust and provide more flat reference surface around the bit for clean, accurate cuts. 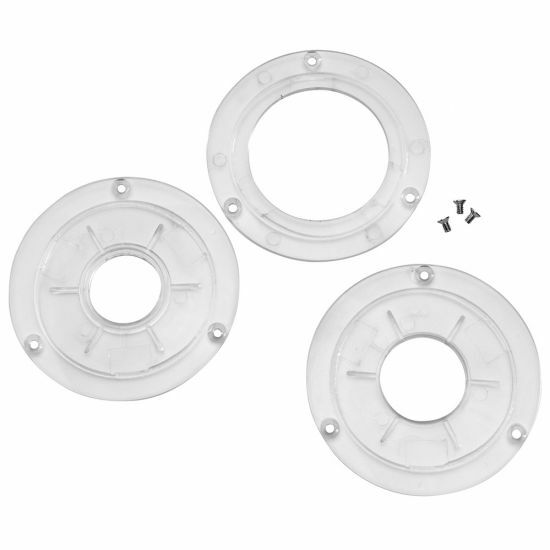 These are made from sturdy, transparent ABS plastic for good visibility while routing freehand. 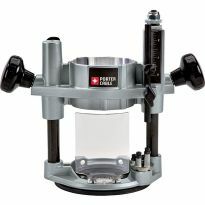 A range of inside diameters—1-1/4'', 1-1/2'' and 2-1/2''—are included to fit various router bit sizes. 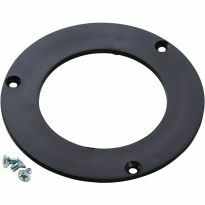 The 1-1/4'' ring has the required recess to mount standard guide bushings. 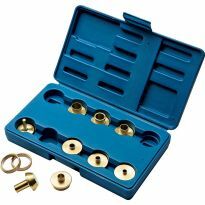 I had ordered the wrong inserts therefore, I returned them. 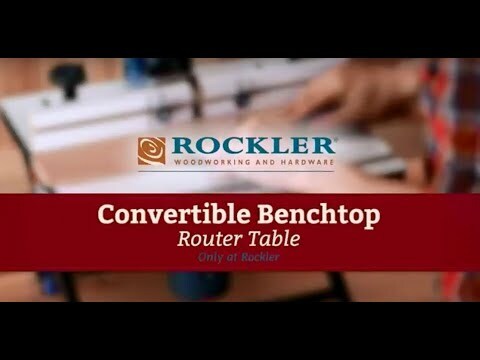 I chose these for versatility with my router. 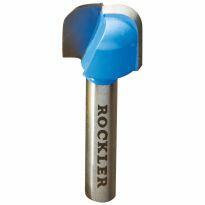 I have a router bit that needs the largest cut-out. Needed a larger opening than the insert that came with the router table. 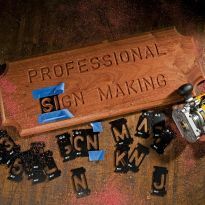 I recently purchased the basic router table kit. 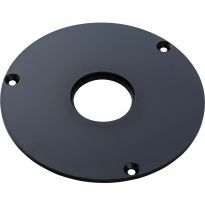 Will these inserts fit the plate that came with it? 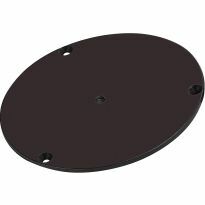 BEST ANSWER: Yes, these inserts are the exact diameter and have the exact screw holes to fit into the bench-top router table plate. 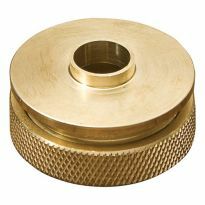 Note that the middle sized insert is the same as the one that comes along with the table so you are really only getting two new sizes. 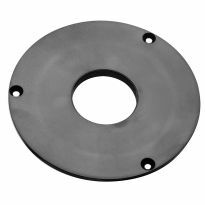 are these available for the compact router insert? BEST ANSWER: No. 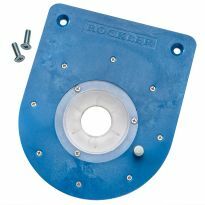 The compact router base/insert does NOT accept any type of insert.